Allister ‘fixes’ … just not bumbling back 3! Once again the Springboks will use the motivation of humiliation to win a Test match. But short-term gain in a win on Saturday night won’t erase the 2017 Springboks pain of Albany and Dublin. Whatever the outcome in Paris against France, the future of the Springboks is dependent on a bit more. Allister Coetzee has failed as the Springboks coach. The result in Paris, the effort against Italy and the season finale against Wales in Cardiff certainly doesn’t change my view that Coetzee has failed in every respect and in every big pressure match. His tenure was doomed from his infamous history making (for all the wrong reasons) first up defeat against a 14-man Ireland at Newlands in Cape Town in 2016. Coetzee was the first Springbok coach to lose at home to Ireland. He was also the first Springbok coach to lose in Argentina against the Pumas. He was also the first Springbok coach to lose against Italy. He was also the first Springbok coach to lose by 57 points to the All Blacks and he was also the first Springbok coach to conceded 57 points on two successive occasions against the All Blacks. He was also the first Springbok coach to lose by a record 14 points to Wales and he was also the first Springbok coach to lose by 35 points to Ireland. Coetzee has managed all of these infamous records in less than 18 months. His Springboks, in 22 Tests, have never beaten a team ranked higher at the time of the match. His Boks, in 22 Tests, have an inferior points scored to points against, return. His Springboks, in six Rugby Championship matches in 2016, scored the least amount of tries. His Springboks, in 2017, scored the second least amount of tries in the Rugby Championship. Coetzee’s 2017 highlight was five successive Test wins against the Pumas and France, who are ranked 10th and eighth respectively. France have won seven of their last 20 Tests and the Pumas have won two of their last 18, with one of those victories being against Georgia and the other being against Coetzee’s Springboks. Coetzee in 2016 lost when given carte blanche to pick any South African player, regardless of where the player was based. He lost in 2017 when focusing primarily on locally based players. Coetzee’s lack of results are the strongest statement that he is not a good selector. Coetzee continues to invest in players who continue to finish second in a two-horse race. Coetzee’s rhetoric is repetitive and devoid of a solution. He never knows why the team lost, he continues to praise the effort of his players and even when the Boks scored zero and the All Blacks scored 57 the post-match talk was of the commitment of the Boks in defence. 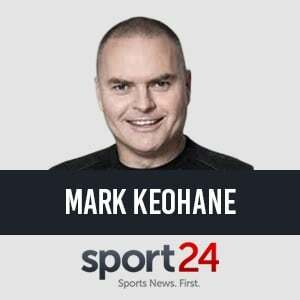 Coetzee has refused to entertain the idea that he has got his backline selections wrong in the Rugby Championship and against Ireland in Dublin. He grudgingly has finally tweaked the back division because there just was no way to defend the likes of Damian de Allende’s sub standard display in Dublin. Coetzee has continued to pick De Allende in his squad in 2017, despite the player hardly playing any first class rugby. It all came unstuck in Dublin and the consequence must be that the player goes and the coach who selected him follows at the end of the month. The South African Rugby Union’s leadership must act with calm in ending Coetzee’s contract in December. It is no knee-jerk reaction. It is one that must be made after two painstaking seasons that have felt like an eternity. Rassie Erasmus arrived in South Africa this week and has recommitted to the South African Rugby Union as the Director of Rugby for national teams, including the Springboks. Erasmus, a former Springbok player and head coach at the Cheetahs and Stormers, was magnificent in the Director of Rugby and Head Coach role for Munster. He guided the once giant of Irish provincial rugby back to the top of the pile in a season and a half. Erasmus inherited a messy Munster and restored a winning culture. He won 21 from 26 Pro12/14 matches, which is the highest winning success of any coach in the history of the competition and won eight from 10 matches in European competitions. Munster were beaten in the final of the last season’s Pro12 after winning the league. Munster made it to the semi-finals of European Rugby’s premier competition, the Champions Cup, and lost to eventual winners Saracens. Erasmus has been lauded for his work at Munster in the last two years. He could have stayed at Munster for as long as he wanted. The Springboks in 2018 will be the beneficiary of Erasmus’s skill set and the focus now must turn to what Erasmus will do. What Coetzee couldn’t do should be confined to history. A Springboks win against France in Paris would make for a more enjoyable late Saturday night, but don’t see it for anything more than humiliated players digging deeper than usual to find some end of season solace. Erasmus’ immediate task is to find a way of beating Eddie Jones’s England in the three-Test home series next year. Finally, with Erasmus officially back in South Africa, the attention can turn to what he can do for the Springboks in 2018, as opposed to what Coetzee never could do – and that is beat a team ranked higher than the Springboks.